Back in the 1980's you weren't one of the cool kids without a handheld video game like this one. This pin is the first in my series of fictional games that I would have loved as a kid. 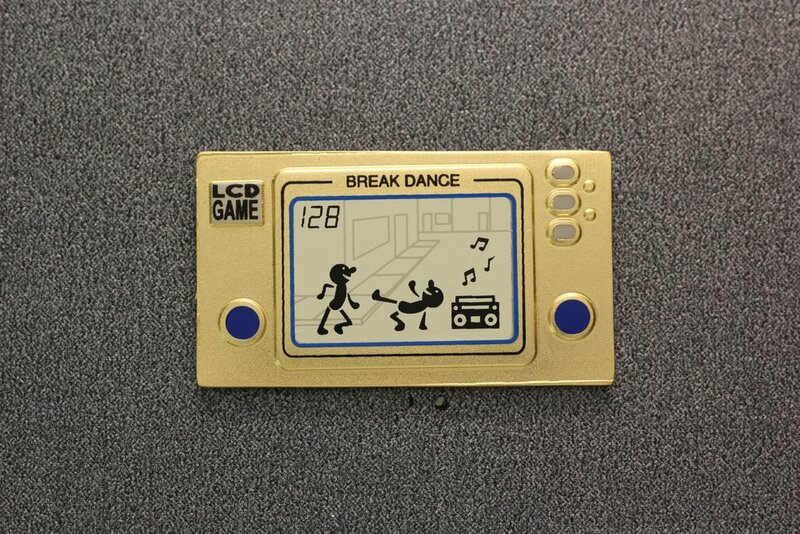 Features a tiny break dance battle, screen-printed on top of hard enamel. Measures 1.5" wide with matte gold color finish. Comes to you carded and bagged. Comes with rubber pin backs.